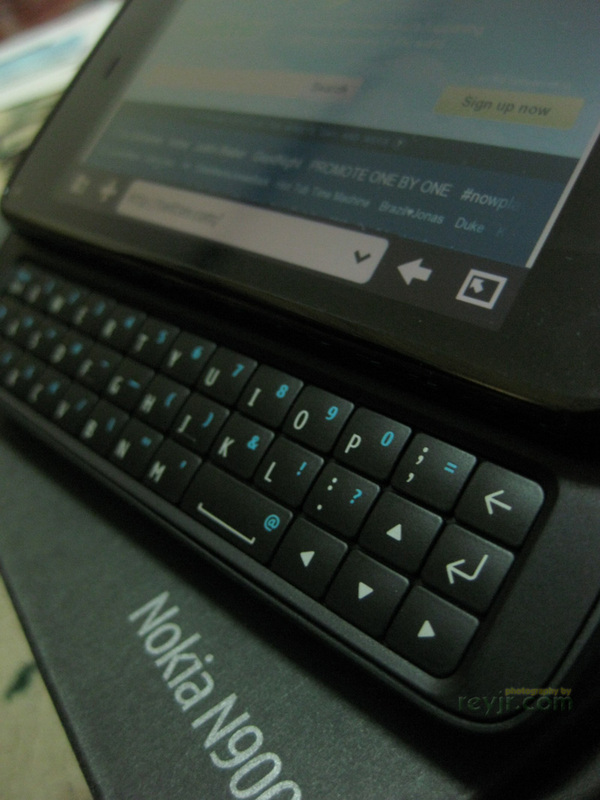 Last March, my birthday gift from my parents was a new cellphone - a Nokia N900 Touchscreen Mobile Computer. My phone before this one was also a Nokia, model N73, which makes for a huge jump from a semi-retirement age phone to now a top of the line touchscreen phone. Here are some of the things that I LIKE and some of the things I DO NOT LIKE about the Nokia n900 phone. LIKE: I like the automatically threaded conversations. It becomes so much easier to follow a thread or review what has been said before. This is especially good for those like me who cannot reply to messages as soon as they are received. :p Text messaging turned into a chatroom. I suppose, the only downside to this is I now text much more often than before. LIKE: I like how it is so much easier to delete messages, when you're cleaning up your inbox (it gets cluttered easily :p) You can delete per message or per conversation. There is also an option to mark all the conversations you wish to delete and delete those all at once. DO NOT LIKE: That it is a mostly "horizontal" phone - makes it difficult to use with one hand (like texting while eating ice cream or something hehe). Texting even on the virtual keypad is horizontal - there is no vertical virtual keypad for texting. 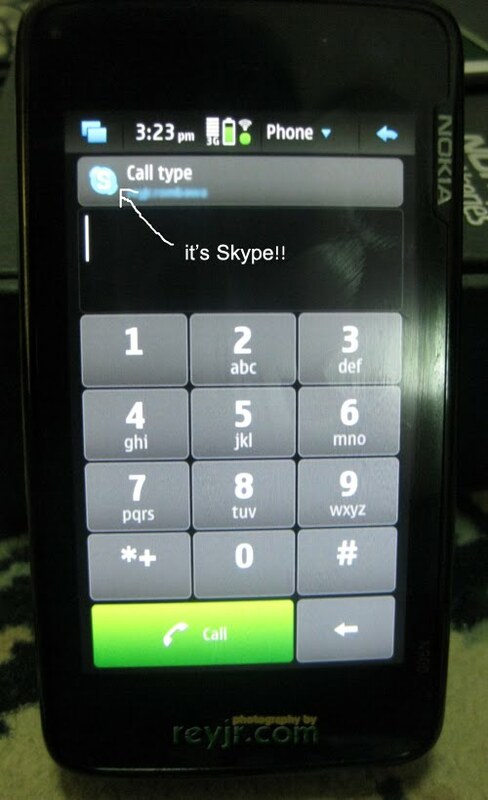 LIKE: The very convenient built-in interface with Skype IM and Skype calls - Free international calls! Calls and Instant Messaging is free if you have a wifi connection. (Good thing we have wifi in our home in Manila, in our house in Batangas, in SM Batangas, SM Marikina...) This works well with me because my gf uses Skype at work, and with my mom in Manila, my dad and my 2 sisters working abroad, it becomes much easier to stay connected to them. 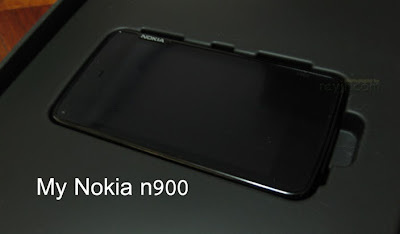 LIKE: Add to that, Nokia n900 also interfaces with Google Talk, Jabber, SIP and Ovi by Nokia. Of these, I only have Google Talk, but yeah it works fine with it! DO NOT LIKE: I don't like that they took out the "Groups" feature for bulk text messaging. You have to build up a list everytime you need to make a group text. And for each recipient, the phone makes a threaded conversation. LIKE: I like how my blog Reyjr.com appears exactly as it should on this device! And the internet speed is quite good as well, provided the connection is stable. LIKE: I like that you can customize the contents of your "Dashboard" with whatever you want to put - like shortcuts to certain programs, speed dial to important people, or even widgets for Twitter or Facebook. LIKE: I like that the apps menu has a lot of free stuff. :p I found that the apps for the iPhone that I want are also on n900 - like the Piano and the GPS powered exercise monitoring program. DO NOT LIKE: The battery life is short if you have wifi on the whole time or if you continuously play games. Hehe. I just recharge it every night and when I'm in the car. 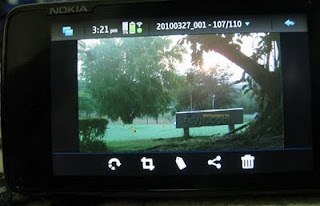 LIKE: Finally, I like that people are allowed to make their own programs that can run on the Maemo platform - open source! Hopefully a lot of people make a lot of cool apps for this phone too. Looking forward to it! Do I recommend this phone? I sure do! Go ahead and buy it then Skype me. Lol. Aesthetically, it is not as "beautiful" as the iPhone, but it has very good interface with the WWW which makes you really (ehem) "well connected". :p The price I would say is commensurate to its capacity. It's cheaper than the iPhone by a lot! Do you own this phone? Sound off in the comments section below! If I'll have this kind of phone, I can die now. HAHAHAHA!!!! how much po ito? and what is the phone firmware version when you had it. thanks po.